Grounded has been designed to cater for individuals beyond their physiological needs in an effort to ensure that reintegration into society at large takes place at a holistic level. This may only be achieved by providing an adequate and functional space for individuals to action steps towards re-building professional and personal self-esteem and wellbeing, an idea that’s built on the bedrock of Maslow’s famous hierarchy of needs. 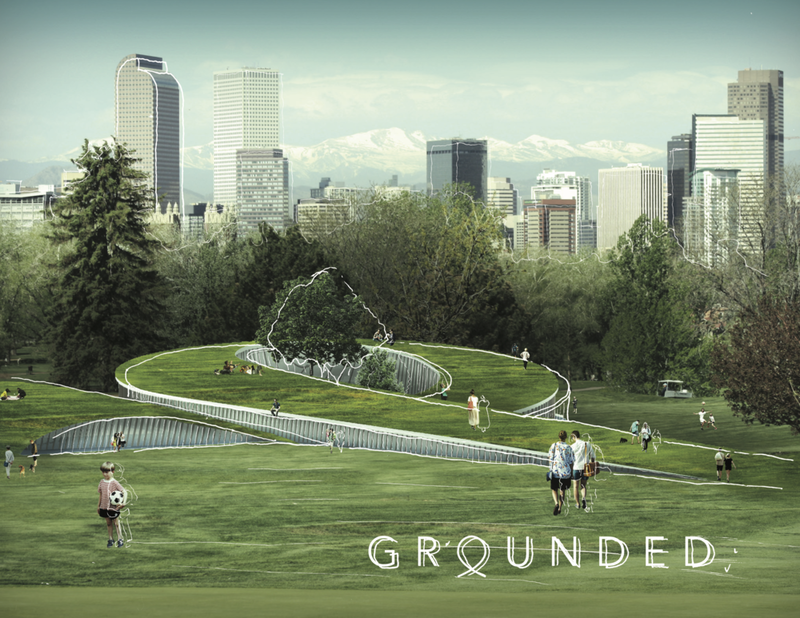 Green spaces serve as neutral areas within the city that enhance its residents well being, introducing break out spaces for leisure and connectivity, providing the ideal environment within the city to highlight and address social solutions. 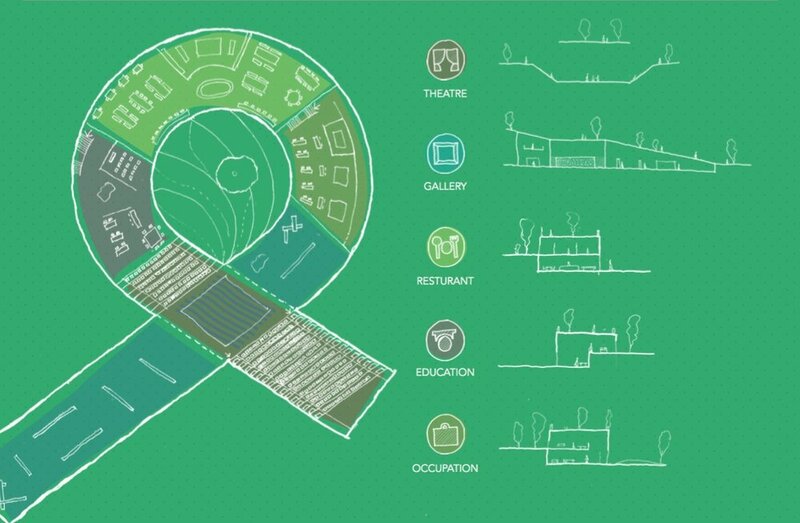 Weaved into the landscape of the park, the journey of reintegration is enhanced by the spatial experience provided by the centre’s loop design, which in itself is a manifestation of the hierarchy of needs. Architectural programs and spaces are organised along the loop, consisting of networking facilities, job training schemes, community spaces, a wellbeing support facility and recreational amenities for its members, with the cultural hotspot lying at the loops intersection in the form of a hub, cultivating a journey to collective self actualisation. Where in the traditional perception of a park, the idea of a centre may feel foreign, rather than absorbing the city’s green spaces, the centre functions as an intervention between itself and its urban setting. The building proposals seamless integration into the existing landscape will reflect its ability to provide the same seamlessness transition for refugee communities.